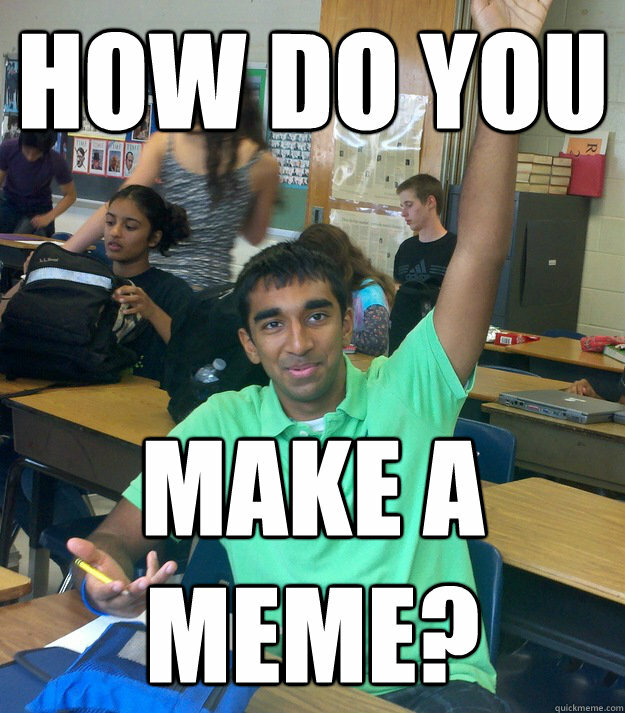 How do you make a meme? 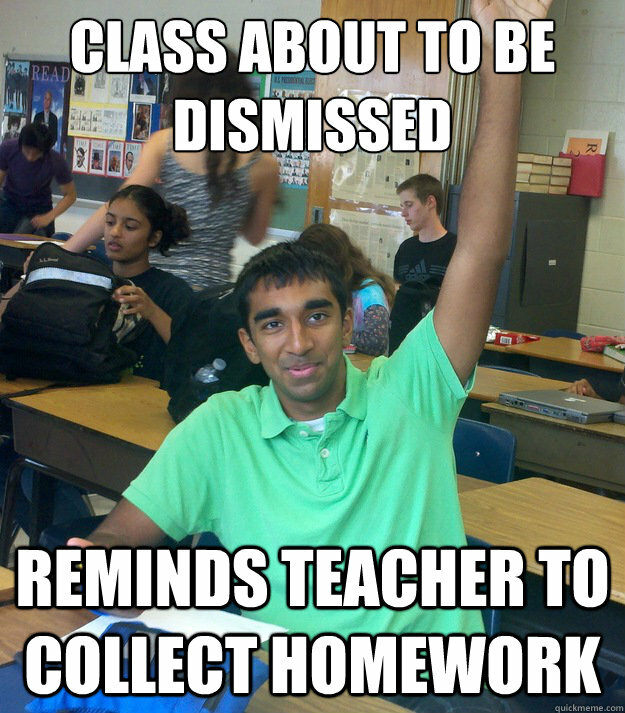 teacher: "homework is due tomorrow." 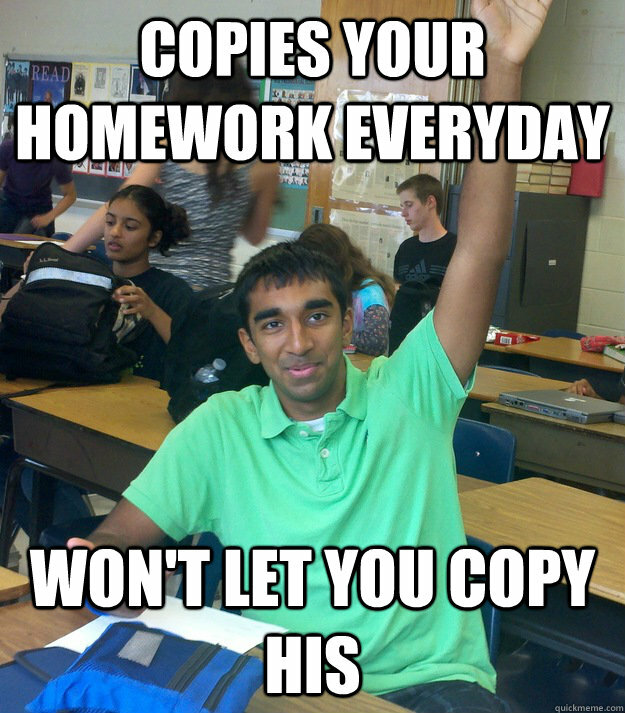 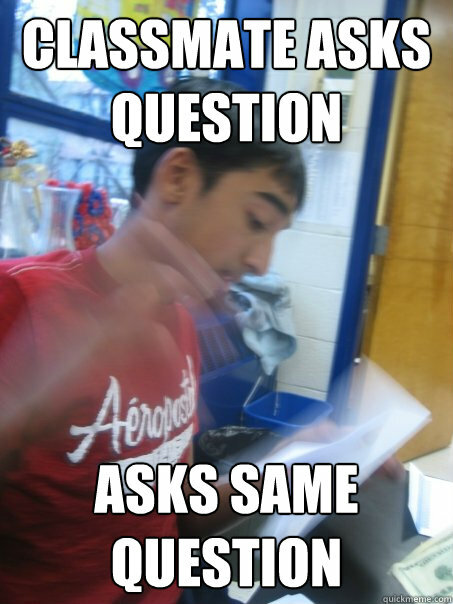 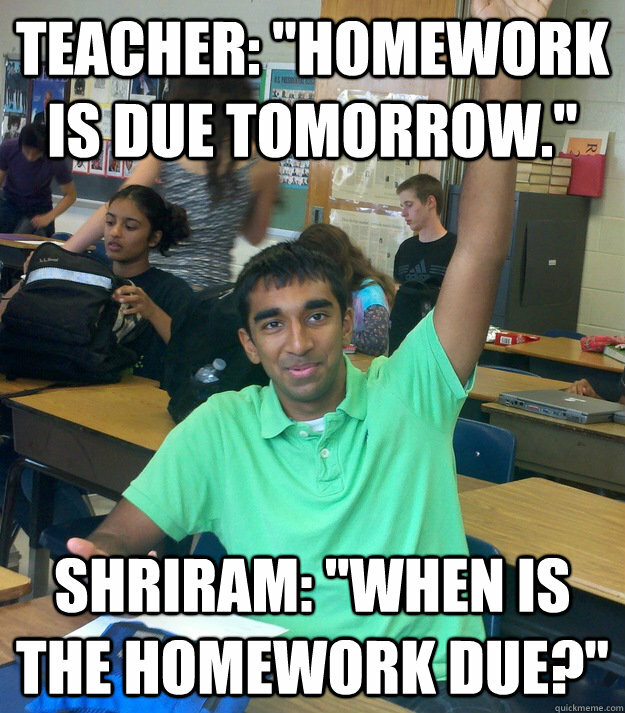 shriram: "when is the homework due?" 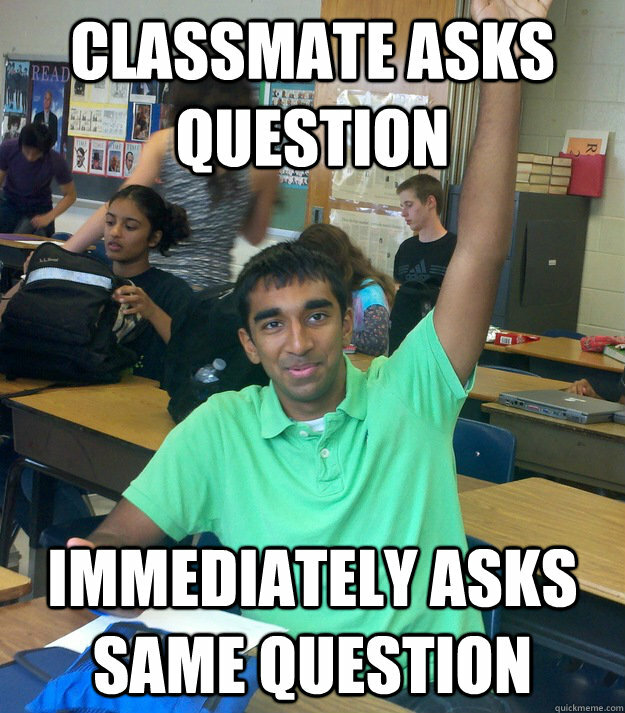 teacher: "could you survive without asking questions?" 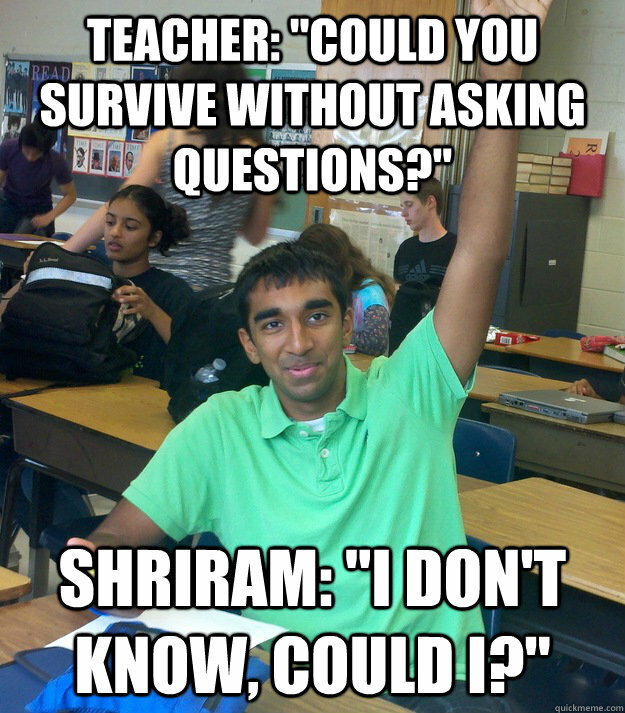 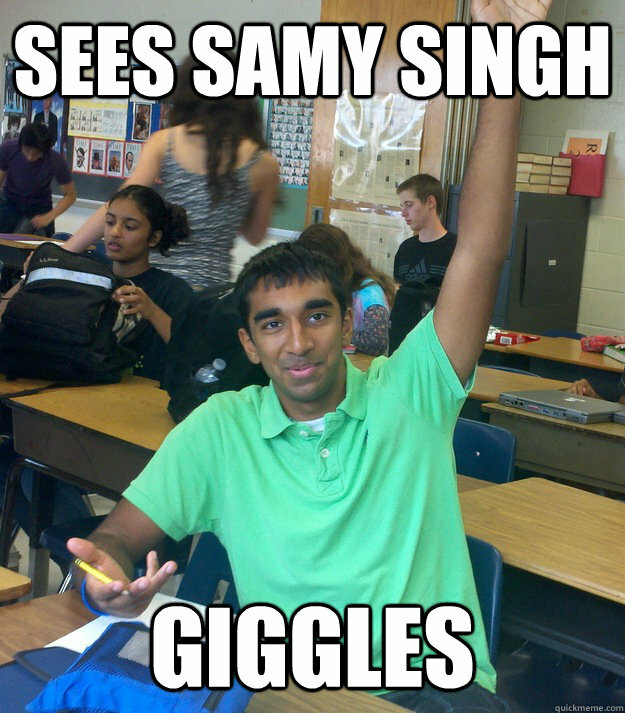 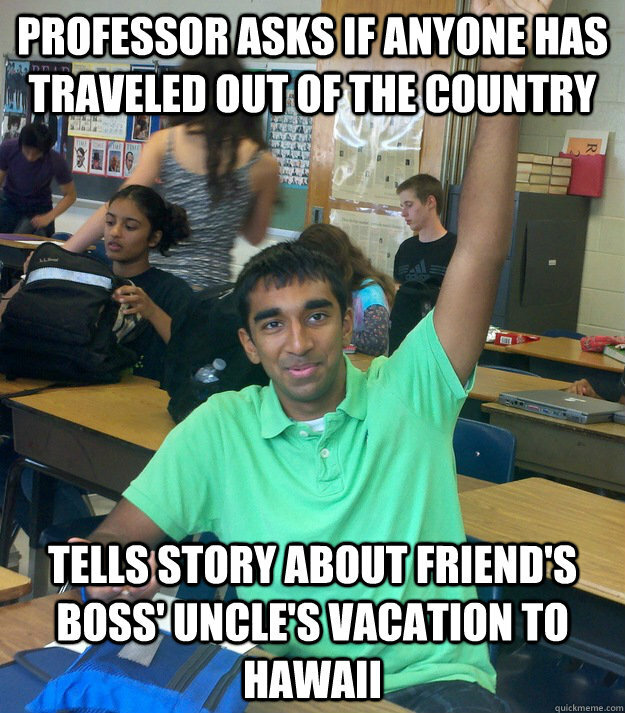 shriram: "i don't know, could I?" 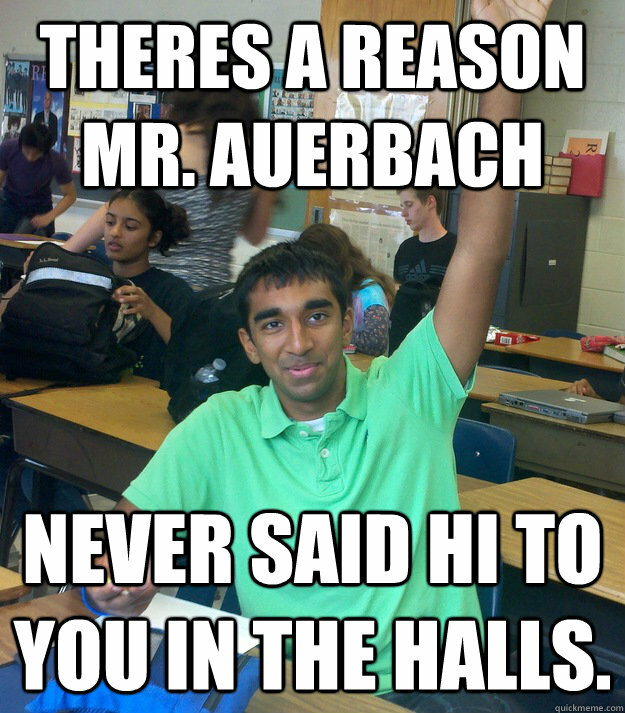 theres a reason mr. auerbach never said hi to you in the halls.